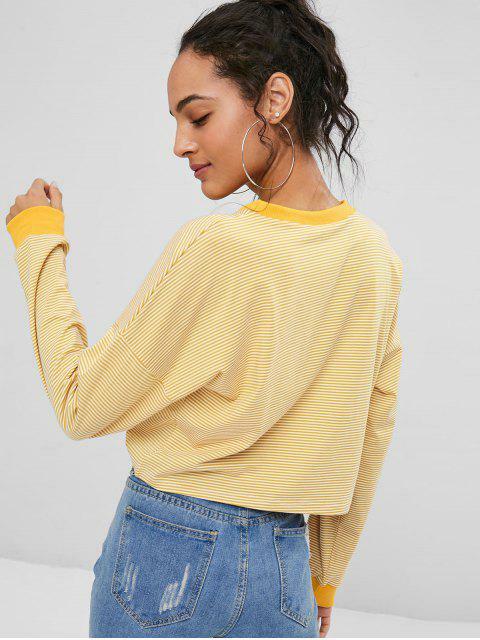 [25% OFF] 2019 Striped Cropped Pullover Sweatshirt In BEE YELLOW | ZAFUL .. The material is super comfy and the colors are beautiful! Definitely one of my favorite things I ordered! 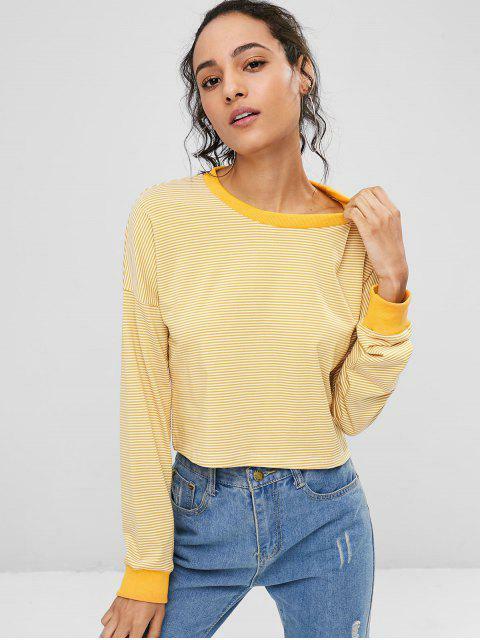 In a relaxed fit, this sweatshirt is slightly cropped and finished with dropped shoulders and ribbed trims at the collarline and cuffs. 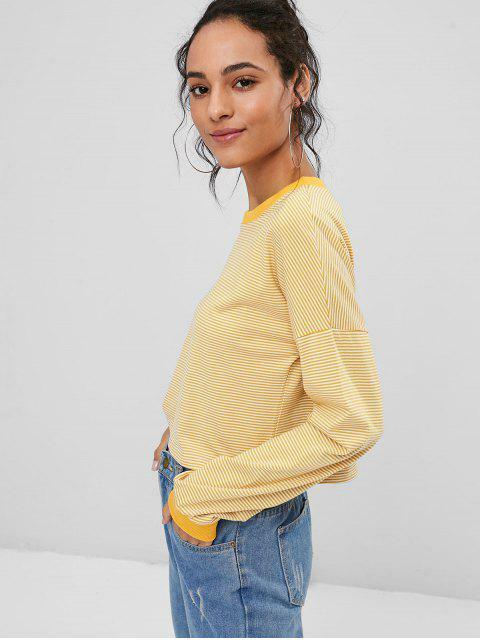 Pair with some solid color bottoms to let the color block stripes really pop.